Social Networking is the term given to a variety of new techniques for communication with clients, customers, prospects and other interested parties. As with other marketing techniques it needs careful planning to ensure that the right message gets through to the right (target) audience. Whilst using social networking and media can be a blunt, scatter gun approach, with careful planning and dedicated application it can, like a rifle, be accurate, well targeted and can be useful in developing relationships with the target audience. 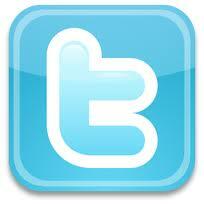 Social networking is the name given to a variety of tools that can be used to develop relationships with customers. Of particular importance is the fact that the use of these tools will help to drive traffic to a website or blog and ultimately help search engine optimisation of the website. For businesses these tools can be used for reputation management, test marketing and feedback from customers on existing or proposed new products. It can also help to increase brand awareness of the business and raise the profile of individuals establishing them as experts in their field and can be linked to articles, websites, blogs and a variety of other media. The main tools for small and micro businesses are LinkedIn, Twitter and increasingly Facebook where Business pages can now be set up. Facebook has currently over 500M users and businesses find this increasingly useful to provide a channel for communication with customers. For instance videos and photos can be downloaded from the site and forums set up to discuss various aspects of the business and its products. Social networking is not a quick fix for getting customers. Like all marketing it needs a careful and thoroughly thought out plan to achieve goals set for it. It should be used as part of a complete plan and not instead of it. At all times the focus must be on the business goals and not on chatter about your social life. If that is what you want to network about, then set up additional accounts with that as the main focus. Each of the three tools identified (and there are many more that you should consider to see what is right for you and your business) have different purposes. LinkedIn for instance allows you to search for specific people in your target market. It also has very useful Q & A area where your expertise can be shown and your own reputation as a knowledgeable expert can be developed. Twitter on the other hand only allows 140 characters in each ‘tweet’ so the main purpose is to drive traffic and enhance your Google search listing as tweets are also indexed by Google. 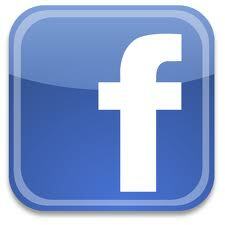 As mentioned previously Facebook can be used for business and personal reasons. Currently the development of Facebook for business is in its early stages but it can still be used for developing your expertise and to link to other media such as your website and blog. Getting started is simple. All the tools I have mentioned are free to set up an account and to use. Just register and start using. A word of caution, however. Although they are free to use to be effective needs a considerable amount of time. Firstly you need to establish your account; then you need to gather fans, friends or other contacts. This can be done by searching for your target audience or ensuring that your communications are keyword rich. Then you need to provide useful content and information. Only then can you start to see the benefit. It needs co-ordination between these tools and your blog and website. However before you even start, develop an action plan so that you can integrate this form of marketing with your existing plans and make sure they work with each other.